Fast radio bursts (FRB) is a rare phenomenon that astronomers have detected for years, but could never able to find the exact origin and what caused them. FRBs are highly energetic and only last for an instant and can release more energy in one millisecond than our Sun emits over 10,000 years. Now, a team of scientists became able to calculate the distance for one of the bursts and it’s located about 6 billion light years away, far away from our galaxy. FRBs was discovered in 2007 since then there are some rumors around, about these FRBs that they might be generated by aliens. FRBs are not like pulsing stars or erratic black hole jets, which emit anywhere from a few to thousands of electromagnetic signals over time, FRBs only seem to occur for a very short time. Another strange thing is that FRBs don’t repeat themselves according to astronomers. She believes that FRBs could be a sign of an intelligent alien species taking over the universe, maybe one planet at a time. Tarter said: "If they know which planets are life bearing in the galaxy. They could perhaps decide to eliminate these inhabited planets one after another, sequentially, which would provide a signal that showed up once or maybe twice and then didn't show up again for some totally unknown period." Whatever the source, this latest report may be prove helpful to solve this mystery. Astronomers believe that the report on the first location of an FRB is an important step forward in solving the mystery. There are some other ideas as well about this mystery, like birth of new stars, the explosive result of two colliding black holes and even two colliding neutron stars are there. 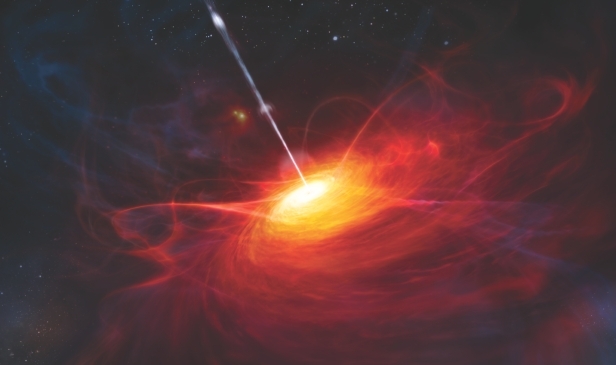 Simon Johnston, who's a member of the research team and Head of Astrophysics at CSIRO said: "Our discovery opens the way to working out what makes these bursts." Last FRB was observed in April 2015 by the CSIRO Parkes telescope, but they were not able to identify its location. This time the team used telescopes at CSIRO and Japan's Subaru telescope in Hawaii to make their discovery. The Compact Array telescope observed the FRB's faint afterglow, having an array of six 22-meter antennas. For six days after the burst, with the help of Compact array telescope, they found its location. Johnston said: "This is not what we expected, it might mean that the FRB resulted from, say, two neutron stars colliding rather than anything to do with recent star birth." They found that the light from the burst took almost six billion light years to reach here. They believe that, it came from within a large, old galaxy, which they believe is producing stars at a much lower rate than the Milky Way, which produces about one per year.